The world of health and fitness is awash with myths to debunk, and one of the most frequent email questions I receive is about cutting foods; the sender has usually read somewhere that fat / carbs / protein are bad, and have therefore decided to leave them behind. This post is my first attempt at debunking some of those myths! I would never recommend cutting out any of the 3 macros, but to add weight to my view, I’m enlisting the help of a renowned specialist and friend, Leo Pemberton a BDA-registered practising Dietitian based in London’s Harley Street. He has worked within 3 large NHS trusts, several corporate healthcare providers, and has powered out 3 marathons (!). He operates at the top of his field, and is the right person to help lend some clarity to a dangerously confused topic, about which there’s a vast swathe of misinformation on the internet. Let’s set the record straight! I feel there’s never been such strong food debate as there is today. People seem emotionally invested like never before. You could argue food affiliations have become quasi-political movements where you are either pro or anti; gluten free, dairy free, lactose-free, grain-free, sugar-free, paleo, Atkins, 5-and-2. There are so many strong opinions and rousing controversies surrounding these topics! My worry is for the awareness and health of those who are vulnerable and exposed to repeated misinformation, especially for young girls who ‘cherry pick’ from these very restrictive diets and are left with little to eat, and who may, in turn, develop a fear of foods. As a blogger and personal trainer who studied nutrition, my personal opinion is very much ‘each to their own’; If you eat something and your body reacts badly to it, the obvious choice is to avoid it whatever it may be. However, I would argue there’s a lot of jumping on the band waggon, with people adopting trendy dietary stances for no real purpose! There’s also a lot of self-diagnosis, which doesn’t help. If you think you’re intolerant to something whatever it may be – get in touch with a doctor who’ll refer you to the appropriate specialist and get it identified. That eliminates all the guess work and you can underpin exactly what’s going on. So to help with the scientific angle, the below are a set of responses to questions I asked Leo about commonly misunderstood matters of food! I hope they prove useful, and please read them within the context of a general idea. For specifics, I’d always suggest you enlist the one-on-one help of a trained professional. Grains are farmed in agriculture and provide energy for many populations across the world, often as a staple. In the typical Western diet, many grains have been refined which means much of the nutrition has been stripped during processing. Whole grains on the other hand, are intact with a higher nutritional value and fibre content. Many processed breakfast cereals have vitamins and minerals added to them post-production. With the popularity of low-carb diets such as Atkins and Paleo, sadly grains get lumped into one homogenous food group. Sales of bread are currently in decline and there is a misconception that carbs are bad. The truth is that whole grains and cereals provide important nutrients and can even help with promoting steady weight loss and improvements in physical activity. The problem is that refined varieties tend to be heavily promoted, often with added sugars and fat. Biscuits, cakes, pastries and confectionery are good examples of foods that offer very little nutritionally but are an easy way to pack on the pounds! Some of the most popular grains are wheat, rice, maize (corn), barley and oats. Oats contain soluble fibre and a compound called beta-glucan which has shown to help lower cholesterol. Oats are gentle on the stomach – and for sufferers of IBS – and are the perfect breakfast for those into cardio or endurance activity. Rice comes in a few varieties: basmati, brown, wild. As a rule of thumb, the brown varieties have undergone minimal processing and therefore have the fibre intact. With processed grains and breads, it is often the portion sizing that we get wrong, it is easier to pile up a plate with refined carbs as they tend to be less filling. I also remind my clients that vegetables and lean protein should feature on the plate, not just a mountain of pasta! Most of the ‘whole’ grains tend to be broken down more slowly by the body – or be lower on the glycaemic index or ‘GI’ – and this helps regulate blood-glucose levels, fill us up on fewer calories and ultimately can help us manage our weight. In terms of food trends, many of the so-called ancient grains: quinoa, teff, amaranth and millet for example, are growing in popularity. These tend to offer a good variety of nutrients and can be fun to incorporate into recipes. There is no set recommendation for grains in the UK. Although the updated healthy eating guidelines point out that we should choose whole grain varieties where possible. More active people have higher requirements for energy. For most of us, basing around a third of our plate for main meals is about right. Whole grains provide fibre, typically lacking in the Western diet. Varying grains in your diet means optimising on a plethora or vitamins and minerals. Gluten-free diets are all the rage currently. In fact, here in London bakeries and cafes catering to this market are popping up by the week. For sufferers of Coeliac Disease, following a gluten-free (GF) diet is a necessity, and can be a burden. Most people choosing to go GF are doing so unnecessarily. This can be expensive and will not guarantee better health or weight loss. Gluten is a protein found in wheat, barley and rye. It is estimated that 1% of the population suffers from coeliac disease and therefore must entirely exclude gluten from their diet for life. In baking, it is the gluten that provides the elasticity in the dough and you may notice that many GF bakery products tend to be a lot more crumbly. GF products are not always ‘better for you’ and may contain more sugar and additives than your usual product – as well as being heavier on the wallet! Globally, and especially in Africa and South Asia – where diary farming is relatively new, lactose intolerance is widespread. However, in Europe and the West dairy has been a part of our diet for centuries and it is much less common. Dairy is a hugely important food group, providing calcium, magnesium and phosphorus for bone health, protein and fat-soluble vitamins and minerals. Milk sugars or ‘lactose’ do not cause dental problems and are fine for the vast majority of us. Recommended intakes are slightly higher for adolescents than any other group diet to their rapid bone growth. For all of is it is an important food group right up to old age. As a rule of thumb, aim for three portions of calcium-containing foods each day. For example; milk with breakfast, a yoghurt with fruit as a snack and a non-dairy alternative such as dark green leafy veg with dinner. So many myths abound regarding dairy, it’s a real shame as it can put people off. Regarding inflammation, there is little evidence that this is the case. For example, purported symptoms associated with arthritis sufferers are unproven. Parents often take their children off milk during coughs or colds in the mistaken belief that it produces mucous, this is actually a myth which started in the 12th century! The new recommended limits to added sugars are just 7 teaspoons per day (30g) per adult, per day. It is important to say that milk sugars (lactose) and the sugar within fruit – i.e. when it is consumed whole, does not count towards this limit. Dairy products are an excellent source of calcium and phosphorus – crucial for bone health – protein and fat soluble vitamins. Juices and smoothies do count, however. Whilst they contain vitamins and minerals, the benefit of having fibre intact is lost and they can become an easy way to exceed sugar intakes. Whilst many people globally suffer from lactose intolerance, most of us in the west tolerate it well. Owing to our long history of dairy farming, we tend to produce decent levels of lactase, the enzyme which helps us to digest lactose. Neither fructose within whole fruit nor lactose contribute significantly to weight gain. Sugar comes in many guises so it’s a good idea to scrutinise ingredients lists: look out for words ending in ose – (fructose, glucose, maltose etc. ), syrups such as golden syrup. Beware of unprocessed forms of sugar such as maple syrup, honey and agave nectar. Whilst there is a trend for going completely sugar-free, I recommend conducting a ‘sugar audit’, identifying foods consumed regularly that contain added sugars. Excluding those that offer little nutritional value such as fizzy drinks can be a good first step to reduce sugar intake. 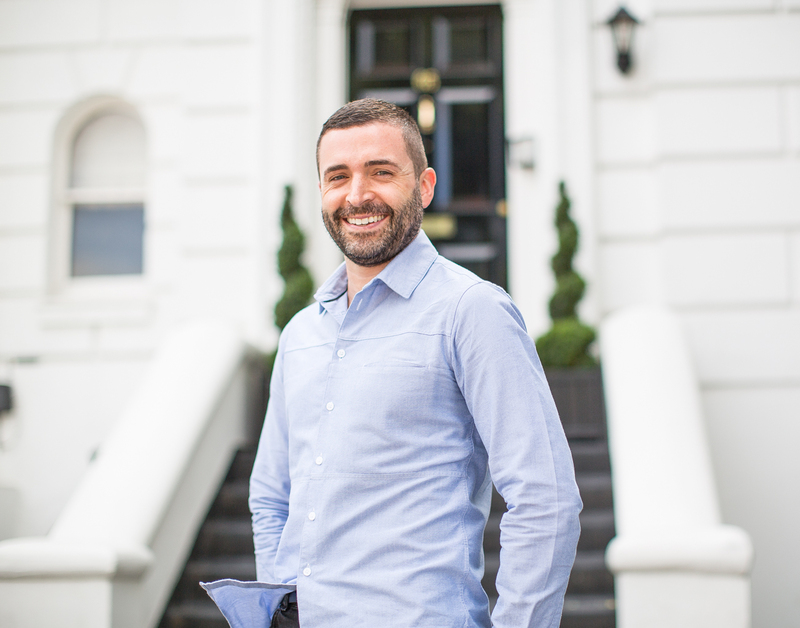 If you’d like to get in touch with Leo for a consultation or otherwise, you can find him at his Harley Street and London City clinics. The post “SHOULD I CUT FOODS?” appeared first on Fitness on Toast.